Hello drifted.com! I am Giedrius Matulaitis, a 27 year old photographer living in Lithuania, Kaunas. 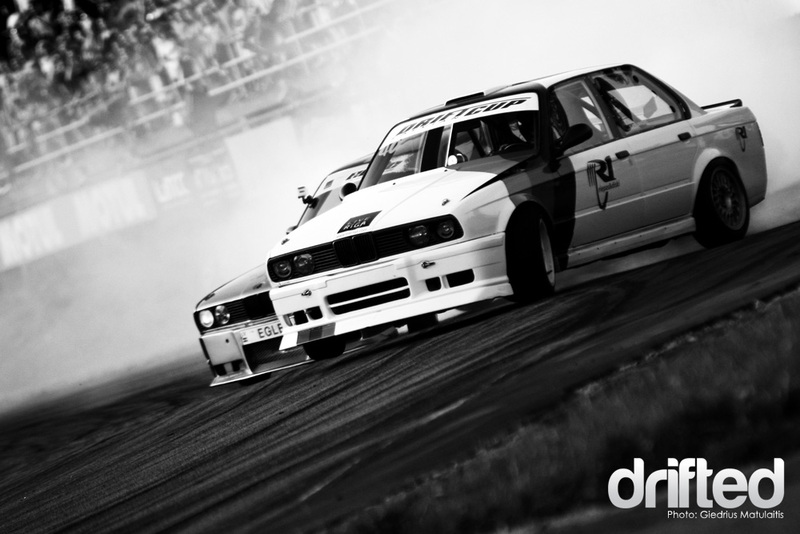 For the last few years I have been deep into capturing the best moments from drifting and other automotive sports. Mostly I have participated in local and neighbouring country events. I would like to take you all to quite a small country, that is more famous for basketball than it is for drifting. But we are here not here to talk about basketball. Lets get to the point – Lithuania is a small country located near the Baltic sea, with a population ±3.5 million. 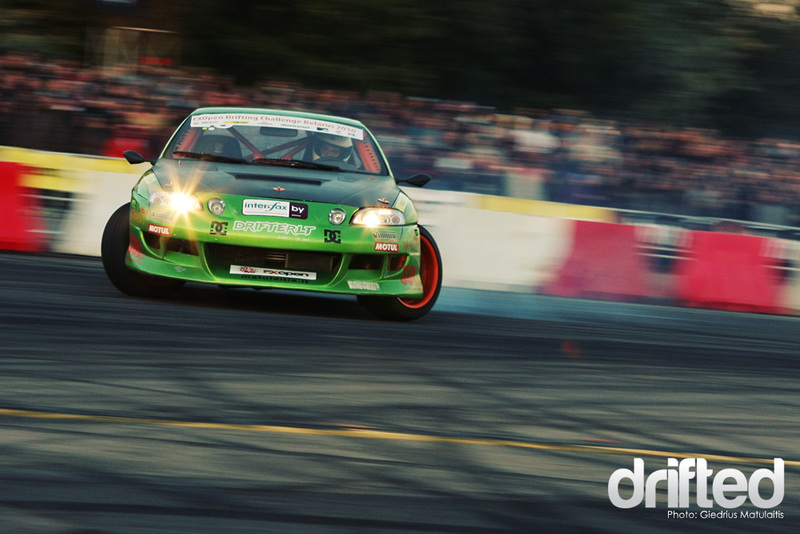 Neighbours that have drifting events are Latvia, Poland and Belorussia. Events that take place in our country are LDC (Lithuanian drifting championship), EEDC (Eastern European Drifting championship – 3rd stage in Lithuania), and BADC (Baltic drifting championship, in 2010). Also club events are quite popular. Drift in Lithuania started about 4 years ago. 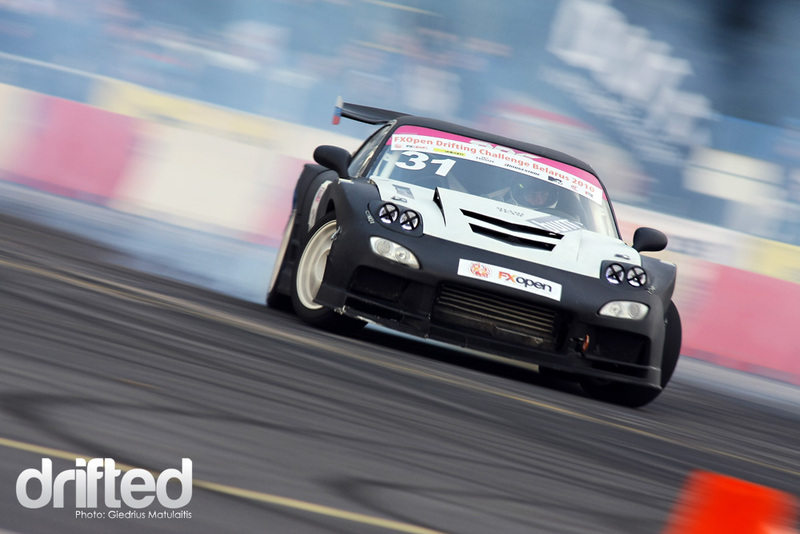 In 2006 the first Lithuanian drifting championship took place. 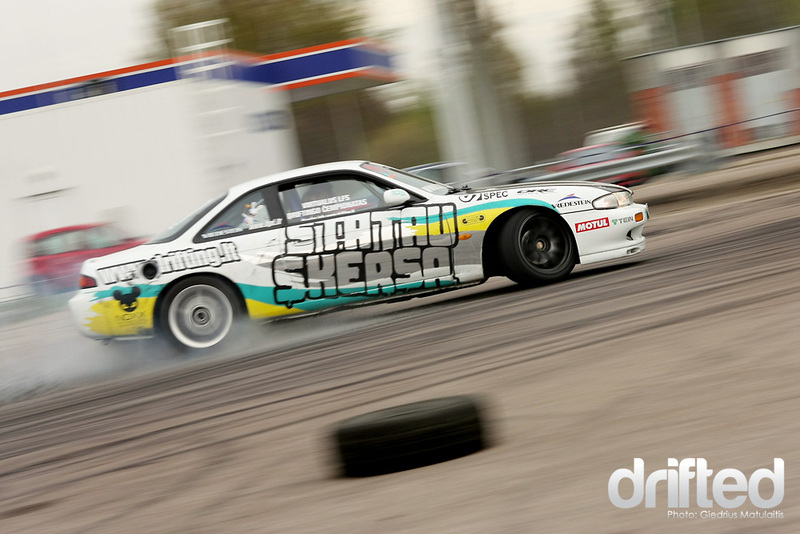 The first drift events were quite amazing, thought only a few people knew what is was to “drift”… The interest in this kind of racing began to rise. More and more enthusiastic drivers participated in these races and it grew in to large events and shows attracting big crowds of spectators. 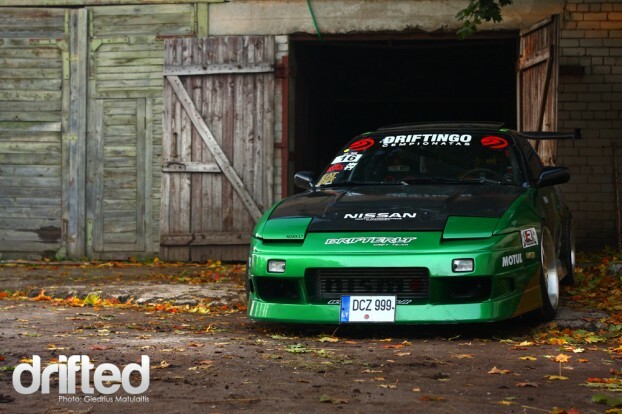 Lithuania had a lot of western influence talking about cars for drifting, especialy in the first seasons. 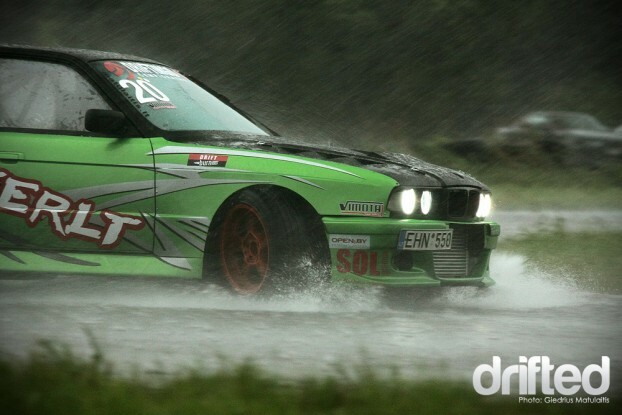 More than 50% of “drift cars” were BMWs, very few were Nissan. Some guys went for more a interesting aproach to drift, and instead of driving BMWs they chose Opels. The events were interesting to watch as the skill of drivers progressed quite fast, the distances between cars decreased, and the smoke increased in to big clouds. 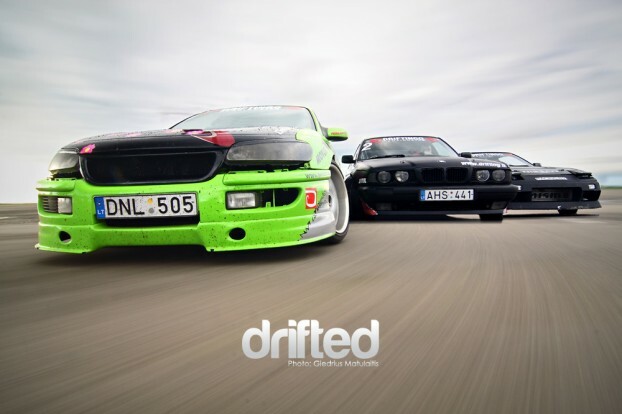 I’ve teamed with Team “DRIFTER.LT” few years ago. The team is from Lithuania, consists of 2 drivers and 2 cars. Drivers – Timas Simniska and Darius Balys. Cars – quite unique. For 2 seasons Timas drove an Opel Omega B with a 4.0 Irmscher engine, Imotec camshafts, a gearbox from Opel Omega A 3.0 24V, bimarco seats, LSD, some body weight reduction, and a sparco steering wheel. The engine had about 240-270hp. 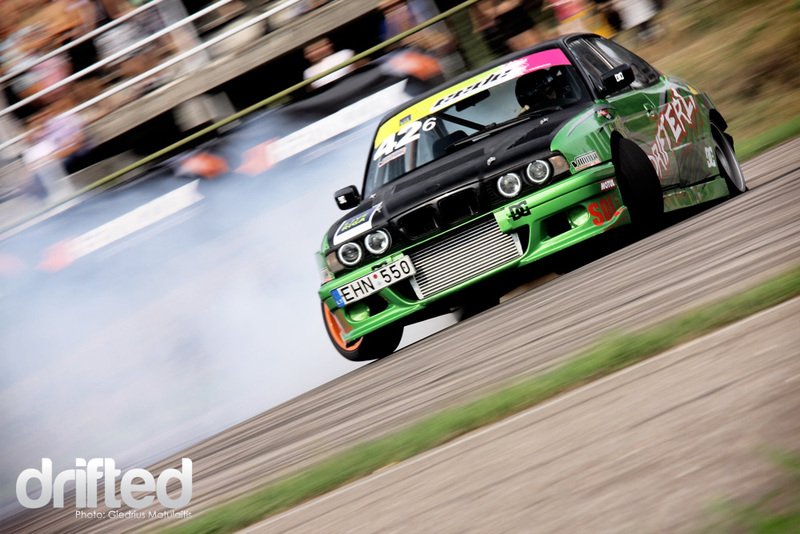 Darius is passionate for BMW and in 2008 drove an E34 with a 4.4 engine, LSD, racing seats, and interior for weight reduction.. For 2009 Darius had built a totally new E34 with 5.0 M engine from E39, 6 gear manual box, safety cage, 2 racing seats, 6 point harness, and an lsd. A four door sedan converted in to a 2 door wide body track monster. The car had about 400hp and 500nm. 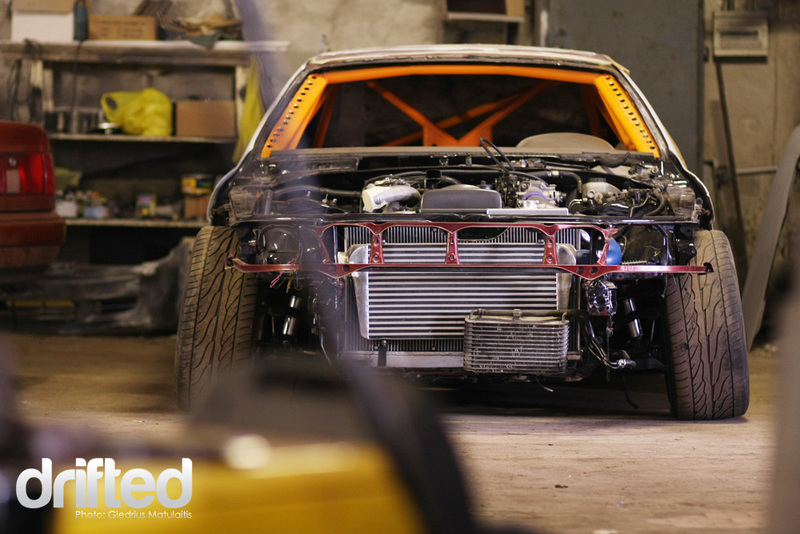 The car had all the chassis remade from scratch; almost no original parts were left. The rear chasis was taken from 7 series bmw, and the front was made by drifter.lt to widen the wheel base and make an increased steering angle. The season end was very unlucky for Darius, because in Ukraines final D1UDF event he crashed into a wall, almost spliting his BMW into 2 parts. He was not hurt due to good body strengthening and a decent safety cage. The winter before the season was intense. 2 cars were being built. Timas had chosen an Lexus SC with 2JZGTE engine, Darius again with an E34 with a 3.0 biturbo engine from an E92. Both cars were full drift spec with safety cage, racing seats, dw safety harness, lsd, lots of custom chassis parts and huge steering angle. The BMW now has about 430hp, the lexus, 460hp. 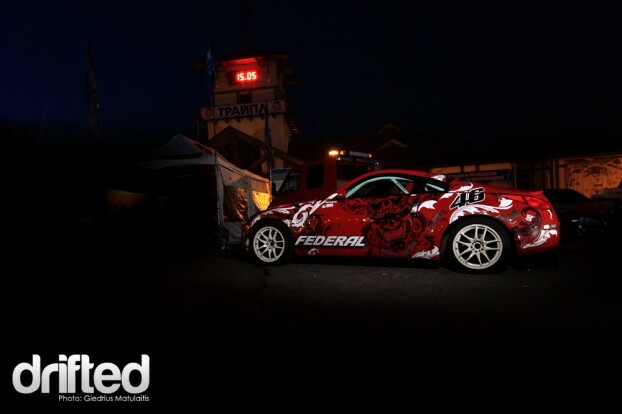 DRIFTER.LT is not only racing team, but they are also building drift cars for local guys and foreigners. At the moment they are building quite a bunch of drift cars – 2x Nissan S14s with SR20DET engines, a Nissan S14 with a 2JZGTE, a Nissan S15 with a 2JZGTE, a BMW E46 with a 2JZGTE, some GTRs being rebuilt, and other smaller projects like a 350Z with a supercharged V8 and 370Z styling. DRIFTER.LT received car in working order, in the same condition as it finished the 2010 season. It had some scratches and broken and zip tied bumpers. The engine was stock 3.5 V6, it had a mechanical gearbox, safety cage, hydraulic e-brake, some gauges, EFDC, Sparco seat, Sabelt belts, and a Momo steering wheel. As all the details were discussed with the owner, the dismantling started. The engine was taken out, fuel tank – out, rear trunk hood – taken off, door – off.. The work started in the trunk with fitting a racing fuel tank, swirl pot, fuel pumps and hoses. Also the fuel tank must be isolated from interior, so all the fuel system is covered. The rear hood and doors are already taking shape; it will be light and strong and this time from fiberglass (safety advice – NEVER use fiberglass/carbon doors if you dont have a safety cage!!). The engine is in the workshop getting connected with gearbox. A Stillen charger set has already arrived, so “putting everything together” will start soon! Some parts are still “on road”, but the car is scheduled to be finished in April. The car is planned to participate in its first drift event on 30th of April in Belaruss, first EEDC (Eastern European drifting championship) event in 2011. As the cars builds up, I will keep you updated! This is it – the first post. I Hope you enjoyed reading it!